Used since the 18th century, mud bricks are durable, inexpensive, and aesthetically pleasing. They are non-toxic and created on site, making them a truly eco-friendly building material. 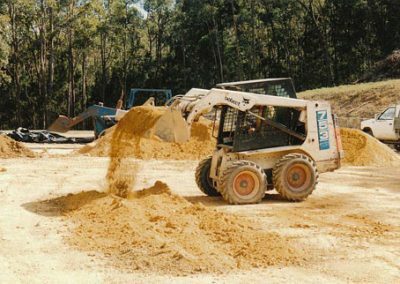 We manufacture and deliver superior quality puddled mud bricks across Australia. Our mud bricks look great and perform brilliantly with no dusting, crumbling, or eroding in the rain. In the harsh Australian conditions many homes have been lost due to frequently occurring fires, and we are all familiar with the white ant, or termite problem. Compressed Earth Block is fire, bullet, sound and pest resistant. occurring fires, and we are all familiar with the white ant, or termite problem. Compressed Earth Block is fire, bullet, sound and pest resistant. Considering the blocks don’t have to be fired or transported and are made from local resources, this would have to make it the most eco-friendly building material. 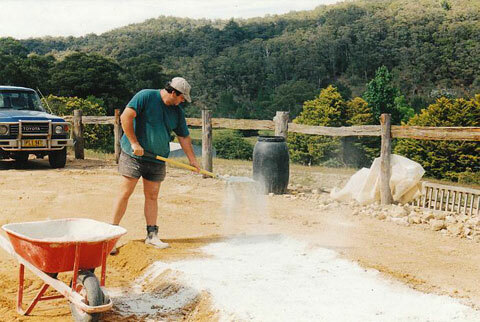 Our business is based in Canberra but we supply superior quality puddled mud bricks all over Australia. 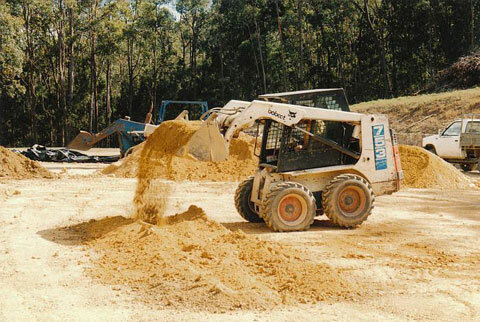 Since 1999, we’ve been manufacturing compressed earth blocks that look great and perform brilliantly. Our bricks are made to withstand harsh Australian conditions, with no dusting, crumbling, or eroding in the rain. We offer on-site service for your convenience. Get your free quote today! 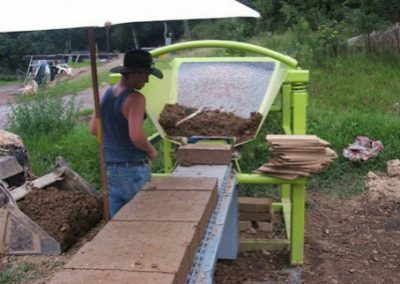 What makes Mogo Mud Bricks environmentally friendly? Mogo Mud Bricks are made on site from local materials and don’t have to be fired, thus having a small carbon footprint. The blocks also have an impressive thermal mass quality, resulting in energy savings for the lifespan of the building. Will Mogo Mud Bricks wash away in the rain? No. Mogo Mud Bricks are long-lasting—they will not erode or crumble. They’re also resistant to fire, pests, bullets, and sound. 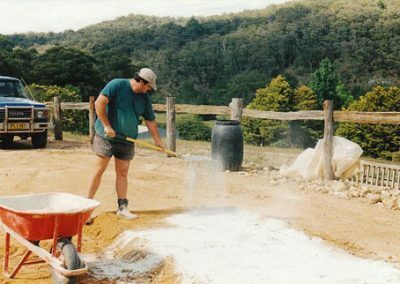 Are Mogo Mud Bricks safe for people who suffer from chemical sensitivity? Yes. 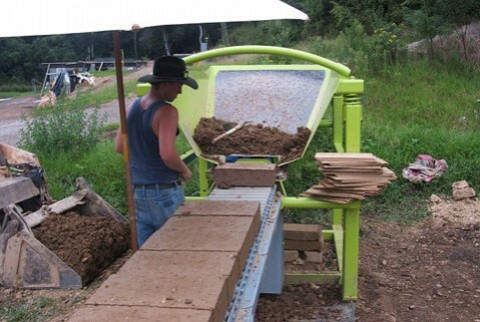 Mogo Mud Bricks are non-toxic and made using a non-toxic process. Getting your free quote is easy. Simply give us a call at 0415870802 or fill out this form and we’ll get back to you right away. • Aesthetically Pleasing – Most people who choose this kind of construction, find they love the look of the block. The exterior can be coloured or left natural. the finished home blends perfectly with the natural world. • Cost and Energy Efficient – The most important benefit of Compressed Earth Block building is the energy savings. The thermal mass quality alone defines the strongest attribute of Compressed Earth Block and will result in energy savings for the life span of the building. 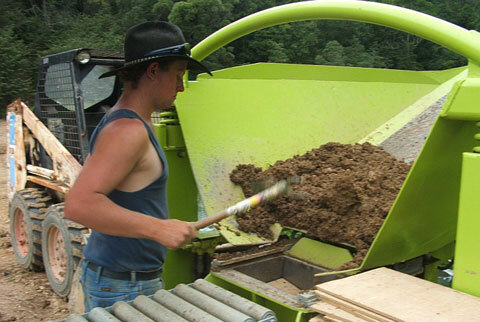 • Non-Toxic – Compressed Earth Block making is a non-toxic process. It is ideal for people suffering from chemical sensitivity. • Durable – The fact that some of the oldest structures on Earth today are made of earth is a testimonial to the durability of this building material. • Made on Site – Compressed Earth Blocks are commonly made on building sites, this reduces the cost of transportation and the carbon footprint associated with it. Soil is being used in countless forms of earthen architecture; places of work and worship, agricaltural buildings, city walls and monuments. 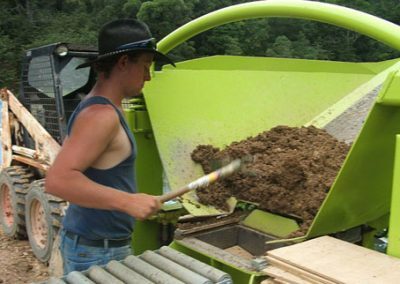 In France 15 percent of rural buildings are made of rammed earth, and the United States is the leading consumer of mud bricks in the industrialised world. There are perhaps twenty different methods of employing earth to construct walls, floors, and roofs of various dimensions and form. The compressed earth block was the first material to be used in the modern earth-building revolution, an entirely new building unit invented in the eighteenth century. This inexpensive building material can boast durability, thermal properties, aestethic appeal, and it greatly reduces the carbon footprint, as the blocks don’t have to be fired, or transported when soil is being harvested from or near the building site. Architects around the world are looking to the natural world for inspiration. Buildings that mimic designs seen in nature are looked at as the possible solution to the currently escalating energy demands, as well as being a cost effective and green alternative for housing needs of the world. Currently about half of the world’s population, approximately 3 bilion people, lives or works in buildings constructed of earth. Soil is being used in countless forms of earthen architecture; places of work and worship, agricaltural buildings, city walls and monuments.